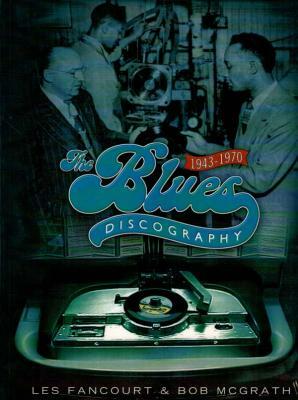 The Blues Discography 1943-1970 The definitive chronicle of Blues recordings inspired by the trailblazing Blues Records by the late discographer Mike Leadbitter and his partner Neil Slaven which first appeared in 1968 and then in an expanded two-part form, the first volume in 1987 (A to K) and eventually, with the help of Les Fancourt, the second part (L to M) saw the light of day in 1994. Now Les Fancourt in collaboration with Bob McGrath and a flock of collectors and researchers world-wide, has shepherded this new much revised and expanded interpretation into what must now surely be almost complete coverage of the genre's most influential and exciting period. Recording details of all applicable styles from unaccompanied field recordings to the slick big city styles are featured. Over 2320 individual artist discographies including 340 new artists added since Blues Records was last published. The work's format is set in the standard discographical layout, alphabetical by artist, chronologically by session, listing personnel details, unissued titles and original releases, mainly 45 and 78 but where appropriate, selective EP, LP and CD entries—when they are themselves are the original issue. A full cross-referenced accompanying musician's index is also included. The Blues Discography catalogs the Blues' transition from a totally African-American and often localized target group to its eventual international acclaim. Excellent Condition! Slight tear on corner. Ships for the price of 7 records.